At 4:50 pm yesterday, May 2, 2013, I received the news that the High Court had overruled the application to take Martin’s case to the Supreme Court in London. This devastating news came without warning. Martin's legal team has spent months building his case with such strong conviction that I feel it would have ensured his immediate release under the European Convention on Human Rights. 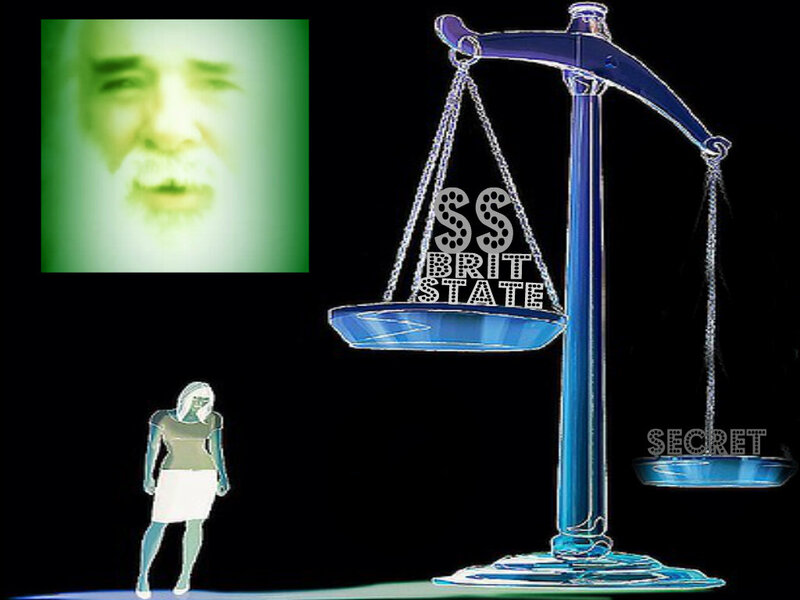 In July 2012, a Belfast High Court judge ordered Martin’s immediate release, which was overturned within hours by the then unelected Secretary of State, Owen Paterson. This decision was challenged in the High Court and the case concluded unsuccessfully in December 2012 with the three-man panel of judges upholding the directive of Owen Paterson. At that stage, an application was made to appeal the High Court's decision in the highest court in the country, the Supreme Court in London. I spoke with Martin this evening and informed him of the news. 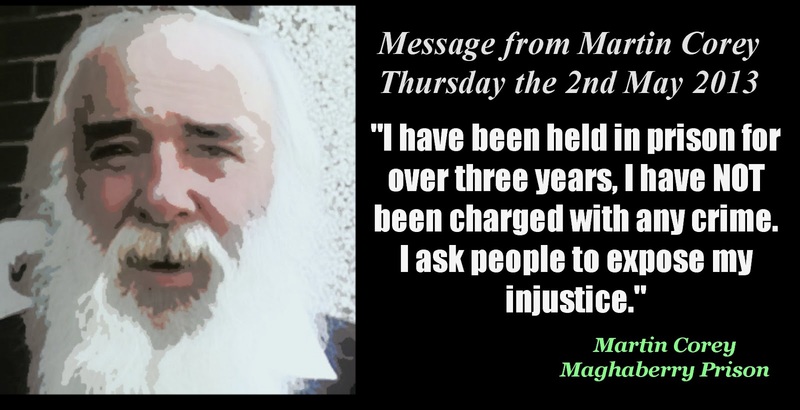 Martin has come to expect little, and often accept less, when it comes to the justice system in the North of Ireland. Our attendance at the Supreme Court in London would have given us the opportunity to expose many aspects of this case which I feel would not be found acceptable in any English court. The fact that the Secretary of State could hand out directives, dismissing decisions by High Court judges, would have been highlighted in the Supreme Court in London, exposing the fact that politicians in the north of Ireland rule the judiciary. The biggest disappointment has to be the fact that had we not received justice in the Supreme Court in London, we would have had the opening to bring Martin’s case to the European Court of Human Rights. This is an avenue we can still explore, but without having exhausted every domestic court in the country due to our denial to attend the Supreme Court, it will be somewhat harder to achieve a hearing within a realistic timescale. Martin has now been in Maghaberry Prison for over three years. The course of the law states, as I understand it, if you have committed a crime, you are: questioned, charged, tried in court, sentenced, and then imprisoned. Within the past three years, Martin hasnever been questioned, charged, or sentenced. He has served what amounts to a six year sentence. We are currently awaiting a confirmed date for a parole hearing. Martin is entitled to an annual Parole Board Review. In February of this year the European Court of Human Rights stated that 13 months was an unacceptable period of time for a prisoner to wait for a parole hearing. Martin has now waited 19 months without a parole review. Today’s announcement of the High Court ruling has been a bitter blow to the campaign for his release, but it will not undermine my determination in seeking his release. If anything, it will harden my resolve for justice. We need to expose this continuing tyranny. British government officials are quick enough to state that the world’s worst human rights abusers are Burma, Equatorial Guinea, Eritrea, Libya, North Korea, and Sudan. Over the past three years I have witnessed first hand everything these officials have done to Martin and I feel the British government is making a mockery of truth by not including its own name on the list above.